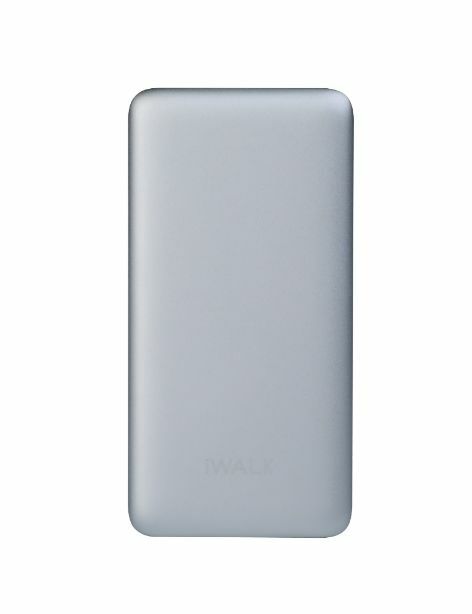 The iWalk Chic10000P an powerbank with 1000mAh capacity is portable and great for a wide range of applications. The outer casing has an premium look and feel but offering extremelu durable protection from drops and falls. It also protects your device against overcharging. The Chic10000P has an built in power delivery chip set, supports 18W input and output via the type-C port. This makes it capable of charging an Nintendo Switch, Mac Book and other type-C charging laptops. It allows you to charge 2 devices simultaneously under common charger*. *Type-C to type-C cable and lightning to type-C cable are not included.